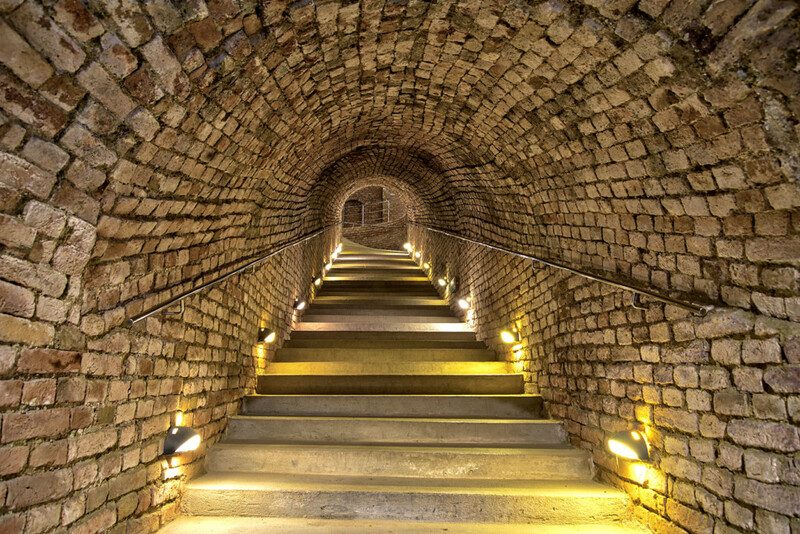 The photo shows a stairway up to more cellars in the Schlumberger cellar-exhibition in Vienna. There are dozens of vaults with millions of bricks. I recommend a visit during the summer months; it’s refreshingly cool inside.